The use of wheat as a fermenting ingredient most likely emerged with the beginnings of agriculture. This puts the possible date of the earliest wheat brewing somewhere around 10,000 years ago. Possibly even further back. We foraged bwild wheat before we started cultivating it. Evidence of wheat fermentation in Europe, and specifically Bavaria, was found outside Kulmbach and dated to 800 B.C. This evidence, discovered in 1934, came in the form of residue in an amphora found in a Celtic burial mound. The residue was determined to be the remains of a dark wheat beer. 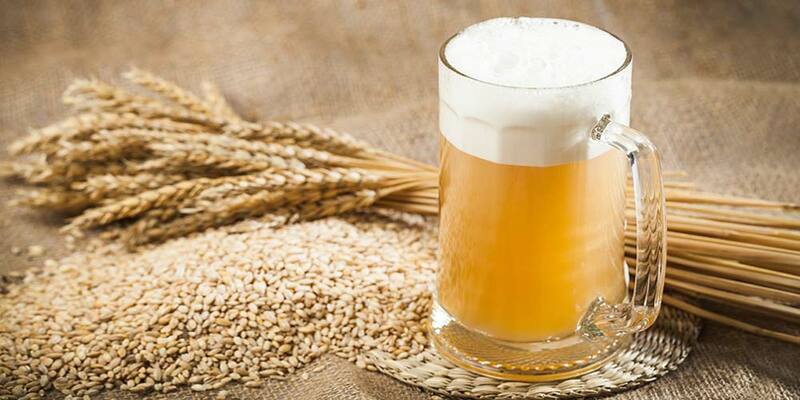 From these early roots wheat beer would gain a footing in much of Europe. Much like any other style, weissbier had its moments in beer history’s spotlight and its moments in the shadows. There are many references of wheat beer in German history, but it is only in the 1500’s that it makes more than a passing appearance. The first wheat beers in the region of Bavaria were brewed by the ruling clan of Degenberger. They became the only legal producers and monopolized this good fortune by decreeing that no other could brew without first gaining their permission in the form of a royal license. When the current duke of the Degenberger line, Sigismund, died without producing a heir, the royal license reverted to the Bavarian house of Dukes, namely Duke Maximilian I.
Maximilian wanted to extend the license to cover all his lands. This included arrangements for the first Weiss brewery in Munich. Dates are a little unclear on the exact time of construction and whether this construction took place under Maximilian’s reign or his predecessor, Duke William IV. What is clear is that this was only one of many Weiss breweries operated under royal license during the next two centuries. The 1800’s saw a decline in the Weissbier’s popularity cumulating in the closing of many of these breweries. The Munich brewery continued to brew some wheat ales, but at a much diminished output, and in the end, brewing was even contracted out. 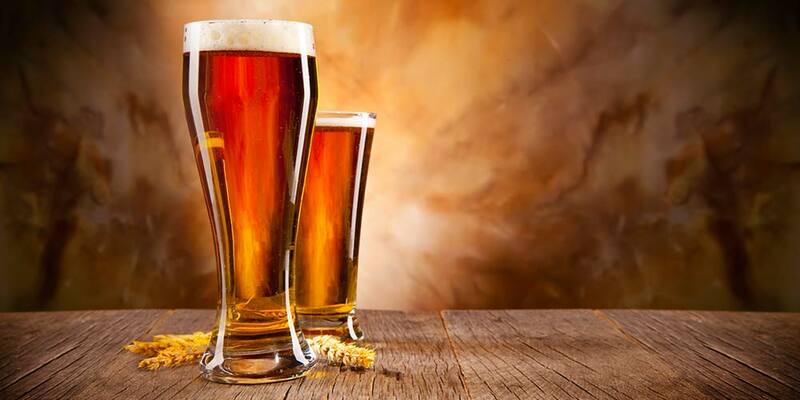 In 1812 there were only two breweries still making the style. With this decline the crown relinquished control of what they undoubtedly saw as a worthless license and the brewing of Weissbier was again open to the public. Many breweries began to brew wheat ales on a small scale right alongside their more popular lagers, but it was a single brewer named Georg Schneider who would be instrumental in bringing wheat ales back from the brink and nursing the style through some hard years. He bought an old brewery in Munich and was able to triple its output over a handful of years. The brewery is still alive and well, even today, and is still run by the Schneider family. By far the most popular weissbeir today is the Hefeweizen (yeast wheat). This is an unfiltered ale, meaning the brewer’s yeast is left in suspension, making the beer cloudy and slightly white looking. There are a couple other wheat beers to take note of though. Kristallweizen (crystal wheat), a filtered version, is brilliantly clear and very effervescent. In fact, when served in a tall thin glass it closely resembles Champagne. The other is the Berliner Weisse, as the name suggests this one originated in northern Germany in the early 19th century. It was a favorite of Napoleon’s army, and was dubbed “Champagne of the North” by his men. This brew is tart, bordering on downright sour in some cases. It is brewed with both yeast and lactic acid bacteria, which gives it its tart flavor and shares many characteristics with Belgian Gueuze and Lambics. Appearance: Ranges from pale straw to deep gold; Long-lasting foam; Clarity ranges but is typically cloudy. 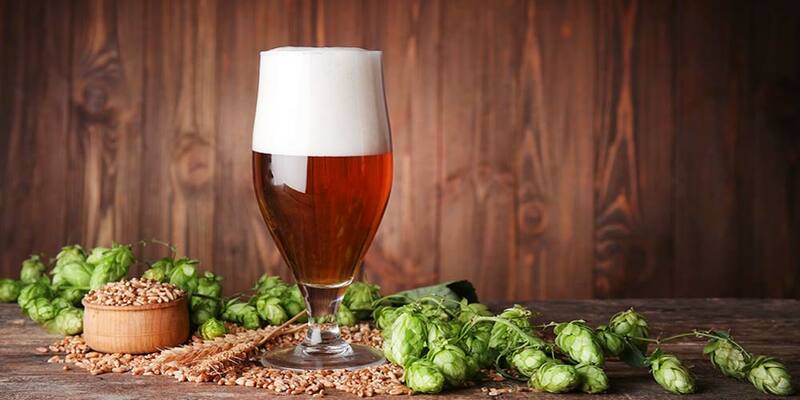 Aroma: Little malts or hop character; Prominent phenol and fruity ester components; No diacetyl; May have notes of tart-citrus, vanilla, and bubblegum. Flavor: Balanced clove and banana flavors are prominent; Possible notes of vanilla or bubblegum add to sweetness; Soft maltiness with bread & grain characters; Hop flavor & bitterness is minimal or absent; Dry finish; No diacetyl or DMS. Mouthfeel: Medium-Light to medium body, wheat proteins add body; Should be effervescent. The BJCP classifies the Weissbier beer style under category number 10, “German Wheat Beer” and it can be found in the guidelines as sub-category (10A). 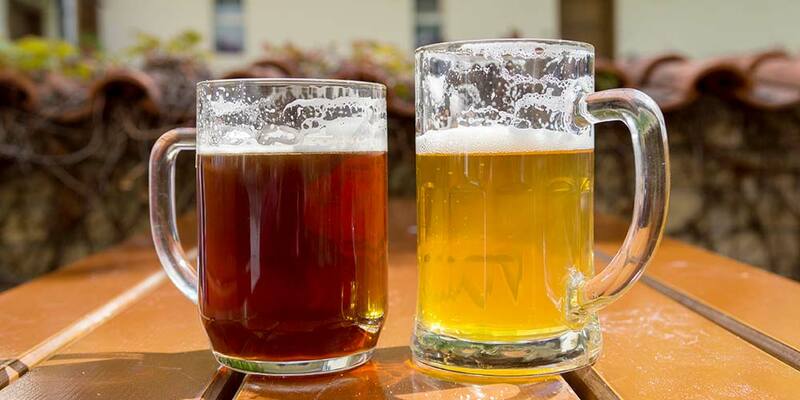 Other beer styles under this category include: Dunkles Weissbier (10B) and Weizenbock (10C). A mousse-like spill of foam builds a long lasting head atop a liquid ranging in color from pale straw to a deeper gold. Clarity is variable, but usually runs cloudy due to the high protein load of the wheat. Those examples that are finished in the bottle will also be cloudy due to the yeast sediment, ideally roused before drinking. It should have prominent phenol (clove) and fruit ester (banana) components. The strength and balance of these qualities vary, but usually remain balanced. There will be little malt character with the exception of a light to medium bready/grainy quality imparted by the wheat. No diacetyl. What little hop character there is (ranging from low to none) will be of the noble variety. Optional aromatics are kept light, but may include slight tart-citrus, vanilla, and bubblegum. If present, these aromatics should augment complexity without becoming dominant. Body will be medium-light to medium, with a possible impression of more body due to the suspended yeast. These beers are always effervescent. The wheat proteins add to the sensation of body, creating a creamy fullness. Prominent but balanced banana and clove flavors, ranging from low to strong. Some moderate vanilla and/or bubblegum-like characters may create a sweet roundness, enhancing the notes of banana. Malt perception should be soft with the bready and grainy characters of wheat and the possible whispered sweetness of Pils malt. A quality of citrusy tartness often accompanies due to high carbonation. Hop flavor is low to none, while bitterness ranges from very low to low. Finish is usually drying. No diacetyl or DMS. Great American Beer Festival Winner, Gold, 2014, South German-Style Hefeweizen. Available Year Round. Great American Beer Festival Winner, Silver, 2014, South German-Style Hefeweizen. Available Year Round. Great American Beer Festival Winner, Bronze, 2014, South German-Style Hefeweizen. Available Year Round. Great American Beer Festival Winner, Bronze, 2014, German-Style Wheat Category. Available Year Round. World Beer Cup Winner, Gold, 2014. South German-Style Hefeweizen/Hefeweissbier. Available Year Round, Imported (may be hard to find). World Beer Cup Winner, Silver, 2014. South German-Style Hefeweizen/Hefeweissbier. Availability Unknown. World Beer Cup Winner, Bonze, 2014. South German-Style Hefeweizen/Hefeweissbier. Available Year Round. May be hard to find in the U.S.
World Beer Cup Winner, Gold, 2014. German-Style Pale Wheat Ale. Available Year Round. May be hard to find in the U.S.
World Beer Cup Winner, Silver, 2014. German-Style Pale Wheat Ale. Available Year Round. May be hard to find in the U.S.
World Beer Cup Winner, Bronze, 2014. German-Style Pale Wheat Ale. Available Year Round. May be hard to find in the U.S. Please Note: The information here is centered on brewing Bavarian weissen. The Berliner Weisse would be much the same recipe formulation up to a point. The main difference would be the method used to sour the beer. It is not easy to brew. Several methods of “souring” can be used, but with the diverse cast of bacteria purposely propagated to gain these results it is easy to get lackluster results, off flavors, and even undrinkable beer. 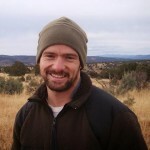 I will briefly go over some of these methods, but wouldn’t recommend this style to a beginning brewer, and suggest a more in-depth investigation of these methods before undertaking them. What’s a Weissbier without wheat? Well, obviously not a weissbier, so the first thing we are looking for in our grain bill is wheat. 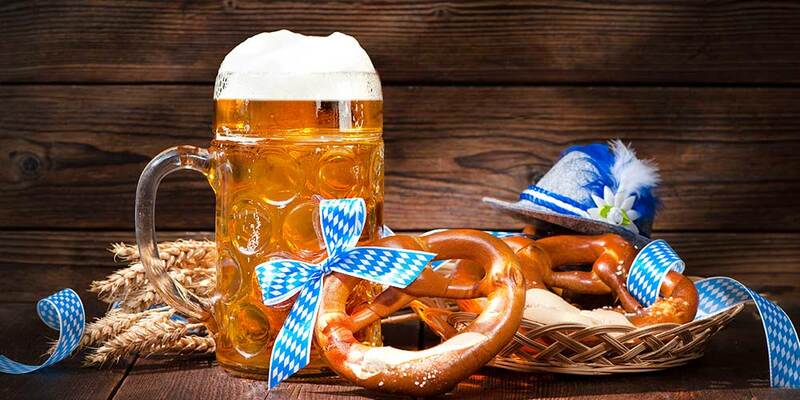 Though I’ve seen a few recipes that are in the 40% range, most will fall somewhere between 50% and 75% wheat; and according to a German law any beer using the name Weissbier or Weizenbeir (at least in Germany) must contain at least 50% wheat. The other half of the grain bill needs to be made up of a light colored malt. If you want authenticity stick with what the German’s use, a German Pils malt; otherwise a good quality 2-row will also work. If doing an all grain recipe I would highly recommend the use of rice hulls to buoy your sparge. Wheat malt has no husk so sparging can be frustratingly slow and contain the very real possibility of a stuck sparge. The hulls can be added right when sparging begins. Note: Wheat is somewhat lacking in the enzymes needed for full conversion of fermentable sugars. It does contain enough to convert itself, so a 100% wheat recipe is theoretically possible, but between getting full conversion and the nightmare of sparging, I would suggest sticking to around 70% or less wheat. The barley used to make up the difference (along with rice hulls for the sparge) will help on both these fronts. It is a simple grain bill, and can be made more complicated by adding in other malts to increase bready character. 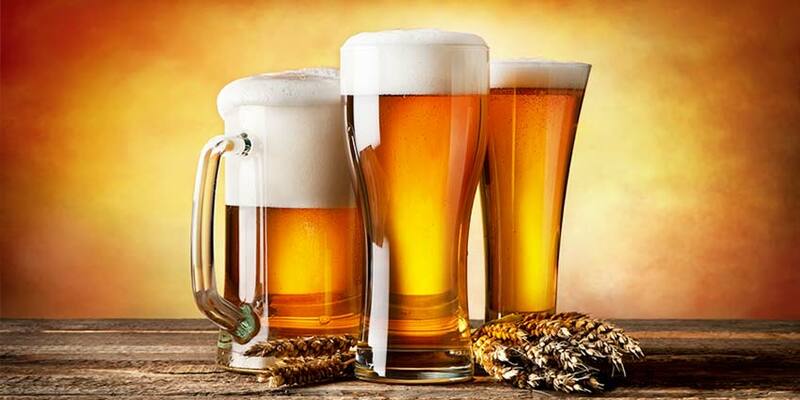 But most good recipes, especially in the case of wheat beers, are kept simple. It is more the brewing techniques and yeast used that are the deciding factors. This simplicity makes it easy for the extract brewer. In fact several award-winning weissens have been made with extract only. Most wheat extracts you find will be a combination of wheat and barley somewhere in the 50/50 range. 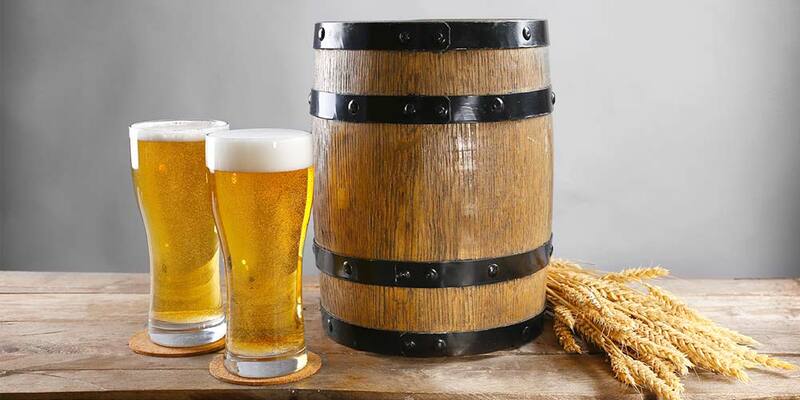 Pick a high-quality malt extract or buy a Weissen beer kit and you are well on your way. Traditionally a decoction mash was used to make this style and if you want to undertake a decoction mash more power to you. There is no doubt this sort of mash can enhance a beer’s complexity, but with today’s malts, some of the traditional reasons for decoction have disappeared. A nice weissen can be had by using a step mash or even a single infusion mash. I do recommend the step mash with a low temperature ferulic acid rest. Ferulic acid is used by the yeast during fermentation to create 4-vinyl guaiacol, a phenol that gives the clove-like flavor common to the style. The easiest way to do this is to mash in at 105°F—110°F, hold it here for 5 to 10 minutes, then turn on the heat and ramp it up to a saccharification temperature of 152°F—154°F. If you don’t want to go through the extra steps of either a decoction or step mash (or you don’t have the ability to do them); look to your ingredient quality and yeast happiness and a single infusion mash should serve just fine. Shoot for a temperature of around 153°F. To sour the beer you can pitch a culture of Lactobacillus with your regular yeast or after most of the primary fermentation is complete. This method is quite easy, though, as with many other sour beers fermented with lactobacillus, the beer may have to age for several months to develop full character and this style doesn’t do very well when aged for long periods. Most Berliner Weisse is enjoyed soon after brewing. Adding a solution of food grade lactic acid is probably the easiest way to sour your future Berliner Weisse. Many homebrew shops sell a lactic acid solution for use in sparging and this same solution can be used here. A definite pro is the amount of control you have in the sourness expressed in the beer. I have not tried this myself, but many brewers say that the profile created by adding lactic acid is one dimensional and a little boring. There are two ways to “infect the wort” with souring bacteria. In the first method you would do a regular mash, but instead of sparging the mash is cooled to around 105°F. When it is cooled, a handful of milled grain is dropped in the mash. The temperature is held here for 1 to 2 days, allowing the bacteria, residing in the grain, to grow and sour the mash. At the allotted time the mash is reheated to sparging temperature, sparged, and boiled just as any other brew would be. The boil will kill the bacteria before the wort goes into the fermenter. This method can create a more complex and sourer profile, but it is less predictable. There is always the possibility of unwanted microbes still alive in the grain bed. These can cause the development of unwanted aromas and flavors. You may make a great Berliner Weisse one time and the next it turns out terrible. The second method of “wort infection” is similar to the sour mash, but the grain is added to the cooled boil. In this case you would perform a regular mash and boil, but then cool the boil down to around 105°F, toss in your grain and hold the temperature for a couple days. Then return the beer to a boil and continue on to fermentation normally. This method has the advantage of killing off any microbes in the grain bed before adding the fresh grain. Of course it ties up your brew kettle too. Hops are simple in this style. They should be played lightly, never rising above just balancing out the beers sweetness. Always use a German variety. Hallertau or Saaz are two of the most popular for the style, but Tettnanger, Spalt, and Perle would also work. The bulk of the hops will be for bittering added at 60 minutes before flame out. Aroma and flavor additions are very minimal if at all (under 0.5 ounces each for a 5 gallon batch). Yeast makes or breaks this style so choose carefully and you can have a completely different profile by simply choosing different Weissen yeast. Some good choices include SafBrew WB-06 and possibly Danstar Munich Wheat in the dry yeast category. As to liquid yeast I’d go with Wyeast 3068 Weihenstephan Weizen or White Labs WLP300 Hefeweizen Ale. The fermentation temperature is critical because so much of the beer’s flavor is derived from the yeast. Keep the temperature between 60°F and 67°F with the sweet spot being around 62°F. Going higher then 67°F will often cause an unbalancing of flavors along with the production of possible unwanted off flavors. Yeast pitching rate and growth also contribute to the finished profile. Some brewers like to under pitch, which can help build some of the flavors, but under pitching usually causes more trouble than it’s worth. Better to pitch just the right amount, not under but not over either. Follow the instructions on your yeast package and it’ll be about right. Weissen beers are highly carbonated, usually in the range of 2.5 to 3 volumes. If bottling, this will mean using just under a full cup of priming sugar (somewhere in the realm of 6 ounces). Weissens are meant to be enjoyed young, so don’t wait too long after brewing to “dip in” to your hard work. Share it with friends, throw a cookout, and drink up.